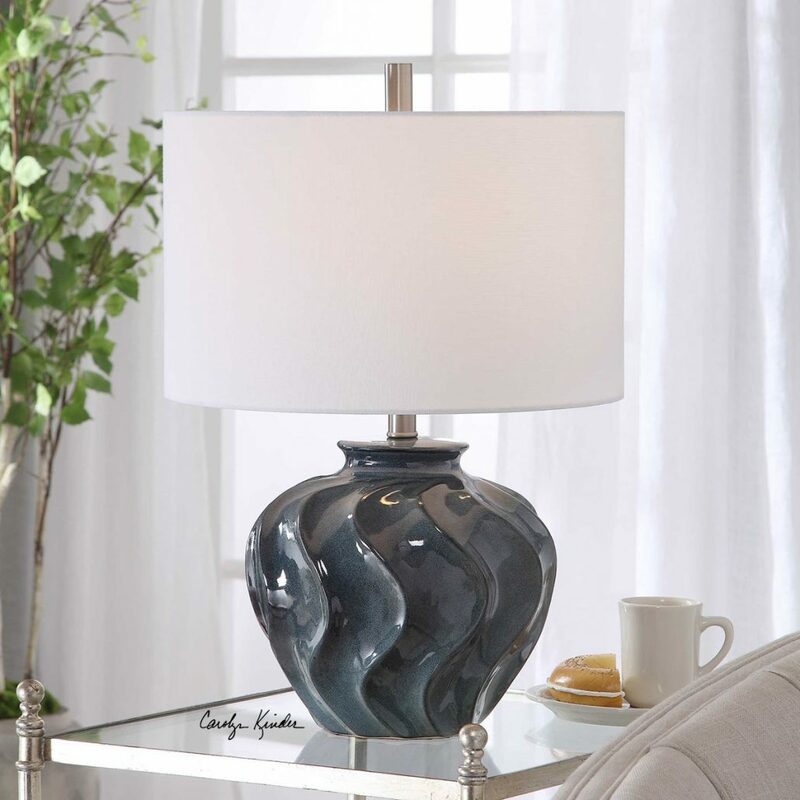 The Aquilina Blue Lamp features a ceramic base finished in an aged-ivory blue glaze, with deep wavy ridges, warm coffee-brown undertones and polished nickel accents. The round hardback drum shade is a white linen fabric. Designed by Carolyn Kinder International, this modern lamp blends well with coastal style interiors. Available to trade professionals at Uttermost.com. Explore retail options for this product using Google Keywords Carolyn Kinder Aquilina Blue Table Lamp.